How long does a coral reef take to grow? Australia’s beautiful Great Barrier Reef is the world’s longest coral reef. It extends from near Papua New Guinea down Australia’s east coast for about 2,000 kilometres. 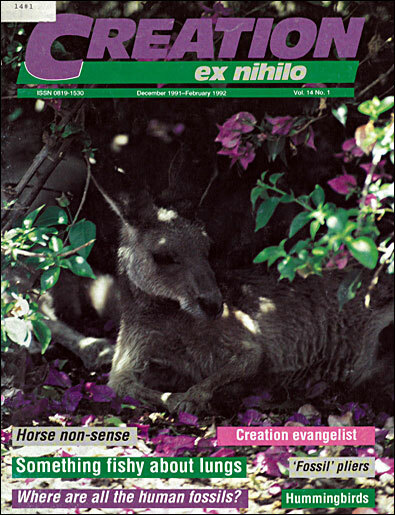 In a previous Creation magazine (Vol. 8 No. 1), we showed that using measured growth rates at the mouth of the Burdekin River, the Great Barrier Reef could have formed in the time since Abraham lived. However, the Great Barrier Reef, in spite of its huge area, is not the thickest known reef. This distinction probably belongs to Eniwetok Atoll in the Marshall Islands. This is a living reef resting on an extinct volcano cone which comes up about three kilometres (two miles) from the ocean floor. Drilling revealed about 1,400 metres (4,600 feet) of reef material. At least two writers have attacked the young age position using the argument that this coral atoll must have taken a very long time to form1,2—they estimate 138,000 and 176,000 years respectively as the minimum age for Eniwetok. Ariel Roth of the Geoscience Research Institute has commented on the fact that estimates of net reef growth rates vary from 0.8 millimetres per year to 80 millimetres per year, whereas actual measurements based on soundings at depth are many times these estimates.3 Roth suggests a number of reasons for this difference. The main one is that measurements made at the surface will show lower rates of growth because of exposure to air at low tides and intense ultraviolet light. Lack of light will of course kill a reef—no live coral growth takes place below about 50 metres under the surface. Hence thick atolls such as Eniwetok require the ocean floor to sink as the coral builds. As the coral is lowered, faster growth is possible than that which we measure at the surface. There are complex factors which both add to the growth of a reef and take away from it. For instance, attack by certain organisms and wave destruction will contribute to a decline in reef size. On the other hand, a growing reef can trap sediments as they are moved along by currents, thus adding to its thickness. Storms can dramatically add to the thickness of a reef by bringing in coral from other areas. Given all the above, it seems reasonable to rely on the actual figures reported from depth-sounding measurements for coral reef growth rates, rather than calculations trying to take all these other factors into account. Such reef growth rates have been reported as high as 414 millimetres per year in the Celebes.5 At such a rate, the entire thickness of the Eniwetok Atoll could have been formed in less than 3,500 years. To maintain that Eniwetok Atoll could have formed in the time-span since the Flood recorded in Genesis is not at all inconsistent with real-world evidence. C.G. Weber, ‘The Fatal Flaws of Flood Geology’, Creation/Evolution 1(1) 24–37, 1980. D.E. Wonderly, ‘Coral Reefs and Related Carbonate Structures as Indicators of Great Age’, Inter-Disciplinary Biblical Research Institute Report No. 16, 1981, pp. 3–5. A.A. Roth, ‘Coral Reef Growth’, Origins 6(2) 88–95, 1979. J.E. Maragos, G.B.K. Baines, and P.J. Beveridge, ‘Tropical Cyclone Bebe Creates a New Land Formation on Funafuti Atoll’, Science 181:1161–1164, 1973. J. Verstelle, ‘The Growth Rate at Various Depths of Coral Reefs in the Dutch East-Indian Archipelago’, Treubia 14:117–126, 1932. How old is Australia’s Great Barrier Reef?